Summary: A super walk found so close to Harrogate this five mile journey took me to a picturesque small castle and then on a beck side walk past some very interesting sculptured gritstone outcrops. 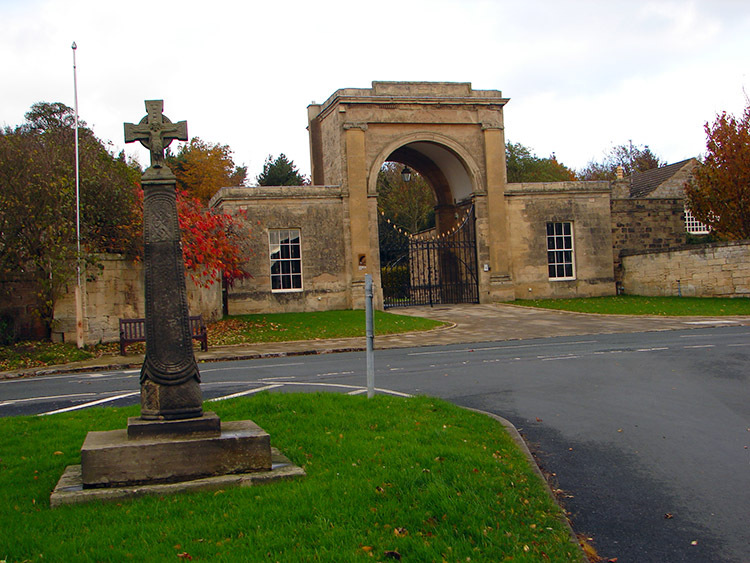 Follifoot and Spofforth are two popular commuter villages for Leeds and Harrogate that have managed to retain community charm. 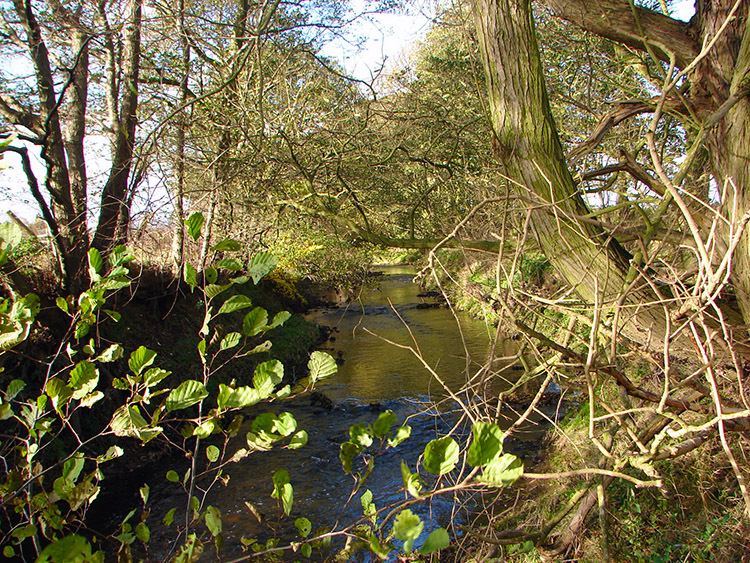 Follifoot in particular is a joy to visit in its secluded location south of Harrogate. I found the inspiration for this walk in John N Merrill's book of short circular walks around Harrogate. I'll do all in the book that I have not already for his walks are interesting indeed. He compiled the book from experiences of his days at Boarding Schools in Harrogate and Wetherby. Quite apt that this walk is half way between the two. 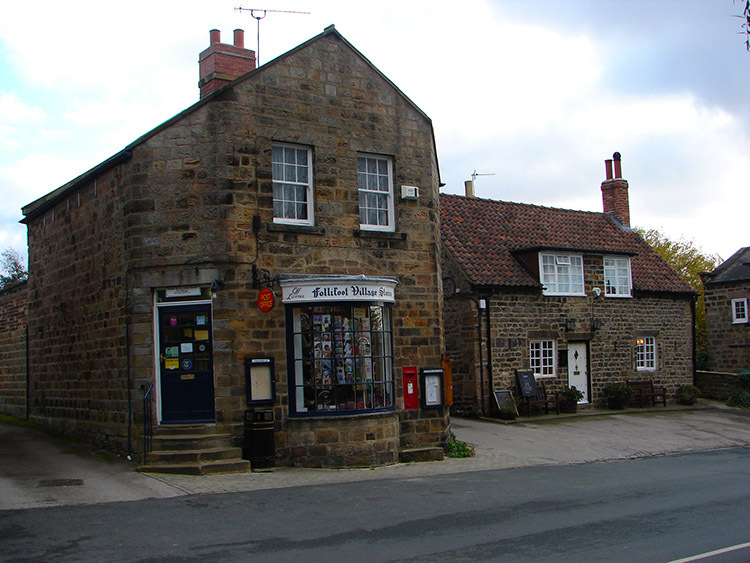 The walk begins in isolated Follifoot, a village which has retained its rural charm for it is definitely a commuter belt village for Leeds and Harrogate. It was very quiet in Follifoot when I arrived and parked opposite the Post Office to begin my walk on a long weekend Monday morning. A few of the senior villagers were walking their dogs or going about their business. No doubt most younger ones had driven their performance cars to work in the city. This village's isolation is so coveted. 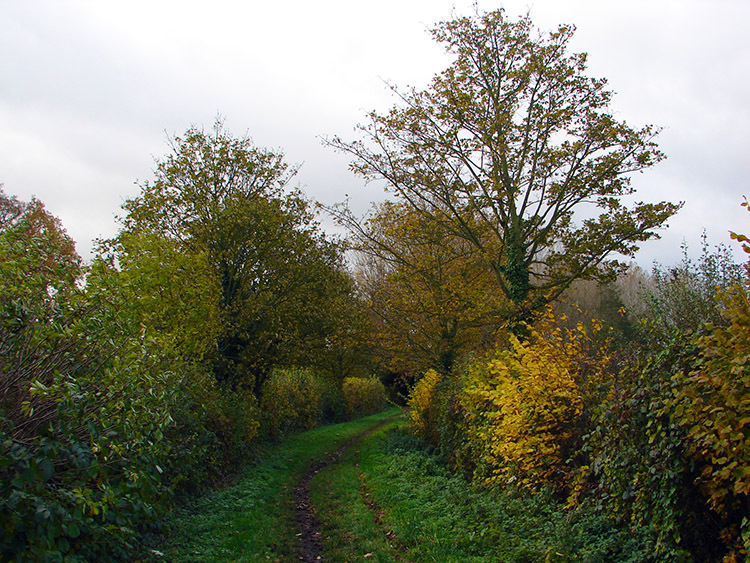 I left the village by a footpath sign pointing me west from the main road past the narrow band of houses then south and east again to Horse Pond Beck. 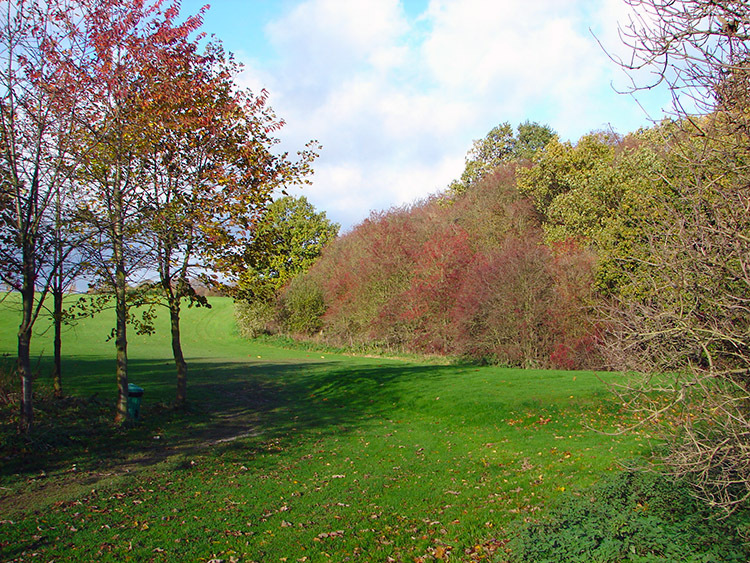 The narrow Bridleway was tree lined that was so vivid in reds, bronzes and browns for the trees were now finally giving up to the seasons, yet so belatedly this year (2006) for it was now mid November. The colours were enchanting though, they seem to be more so with each year, much like wine I imagine, an appreciation with age! After crossing diminutive Horse Pond Beck I edged around fields to cross the dismantled Harrogate to Tadcaster railway. 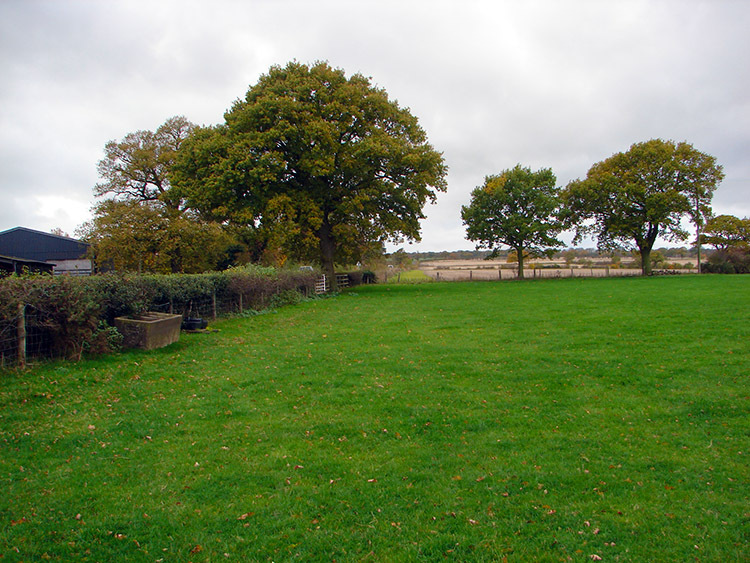 Then I continued south across another field to Haggs Road. At Haggs Road the only real drawback to the walk took me 400 metres alongside Haggs Road. As it was mid morning the road was quiet but it is not usually for I, as many others do, use it often as a link to and from the A1. And as it is a straight road it is fast. Beware. For me as stated it was sparsely travelled this late Monday morning and I had little convenience, only stepping off the road into the narrow verge three times. Three times too many though and a roadside path would be appreciated to complement this otherwise delightful walk. 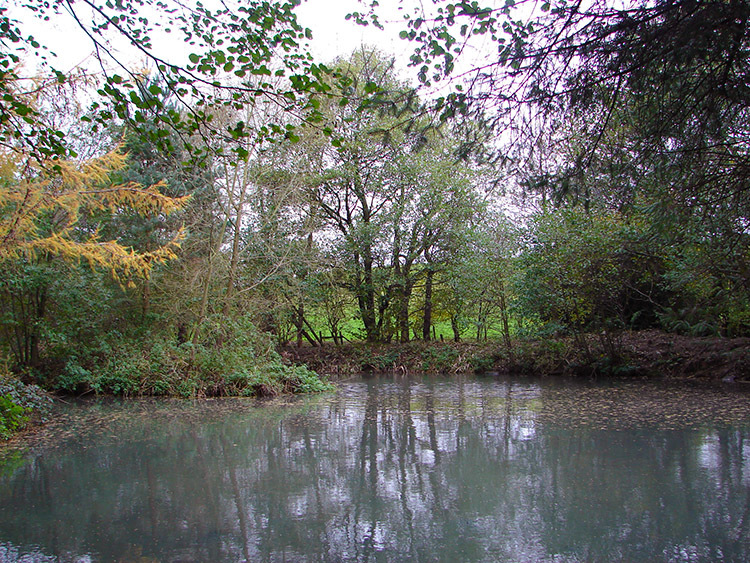 After the displeasure of the road it was a good walk ahead down to Lodge Wood which protected a small pond in which there was a group of ducks I inadvertently alarmed. I did not mean to and I felt apologetic. 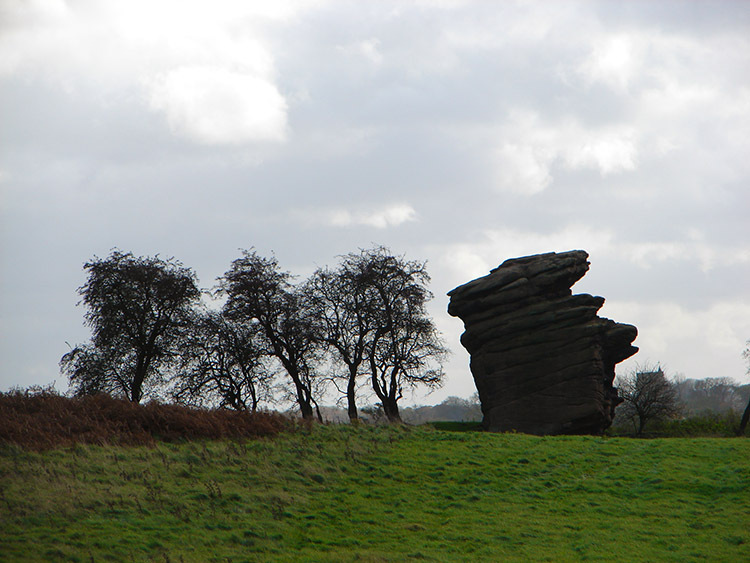 Immediately afterwards I passed two senior walkers making their way from Spofforth to Kirkby Overblow. I'll follow their path one day, but that was west but I was going east and so I did walking alongside and through Spofforth Golf Course on well manicured avenues to the village. 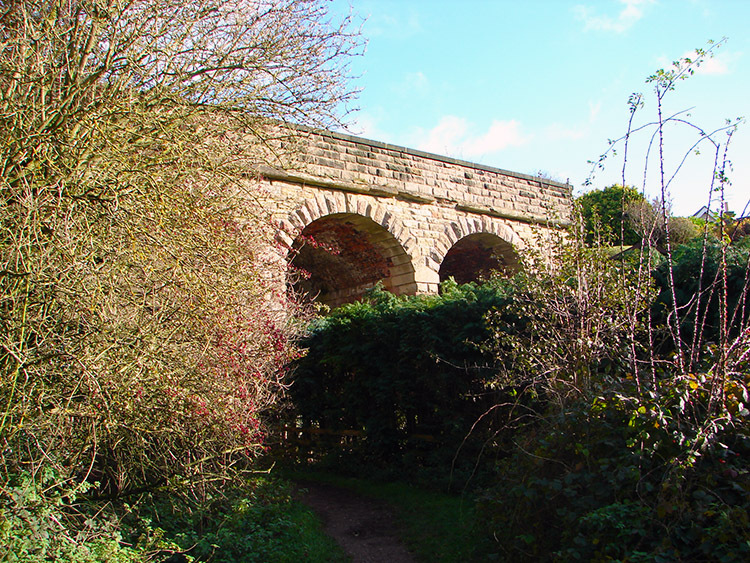 I arrived in Spofforth by walking underneath one of the arches of Manor Bridge that once allowed the Harrogate and Tadcaster trains over it. 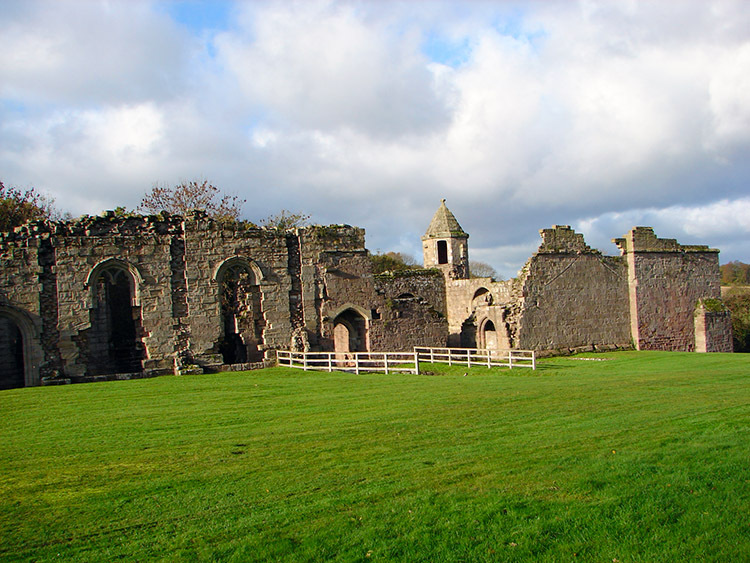 As soon as I was underneath the arches I was standing in front of the magnificent ruins of Spofforth Castle. Not exactly a castle but a large manor house the remains are impressive indeed, especially the tower structure that I was drawn to look at again and again. 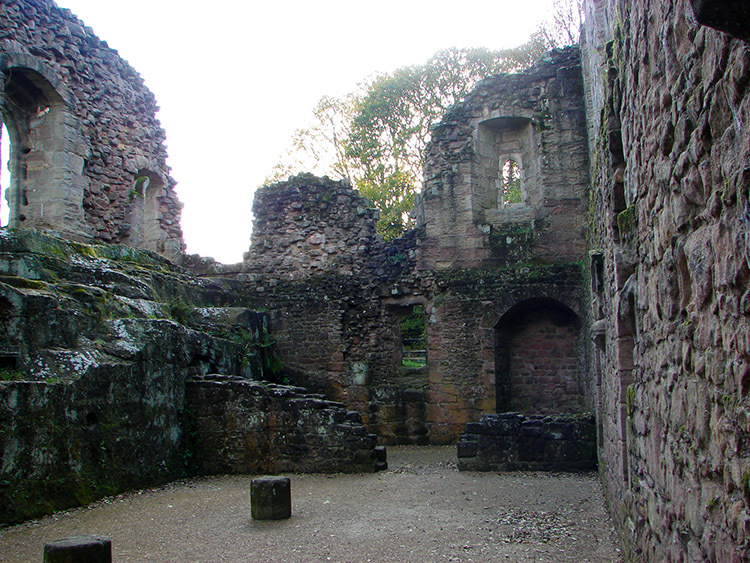 I explored the small structure including a walk into the remains of the Great Hall. It was not the longest exploration of a ruined English Heritage site but it was the usual delight. I enjoy exploring our history and to do it in the middle of a fine walk is always pleasing. 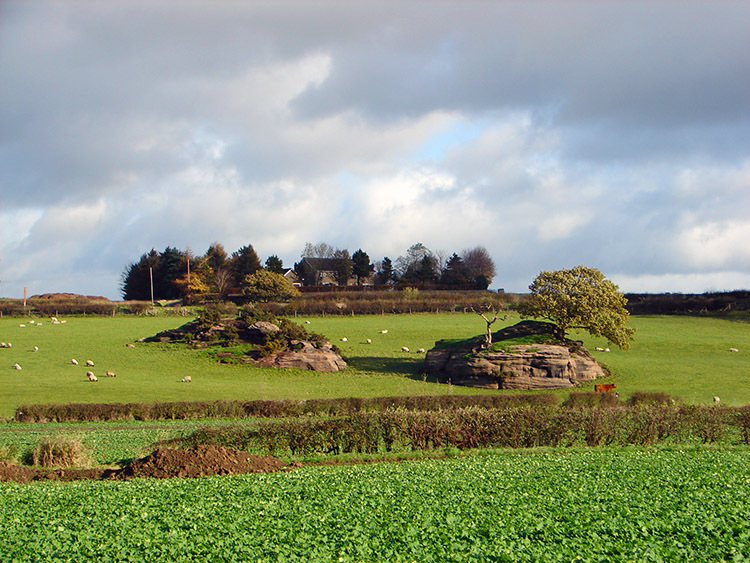 As with all such investigations it was ended with a pang but I wanted to get on with my walk which I did by leaving the castle and walking through Spofforth to Crimple Beck via Mill Farm. Sad that Mill Farm was now converted into a dwelling with an ugly high wall. What some people do for privacy in beautiful surroundings is a detriment to the very place they live in. After the castle I expected a routine walk back to Follifoot along Crimple Beck, or River Crimple, because it described as both on the map. 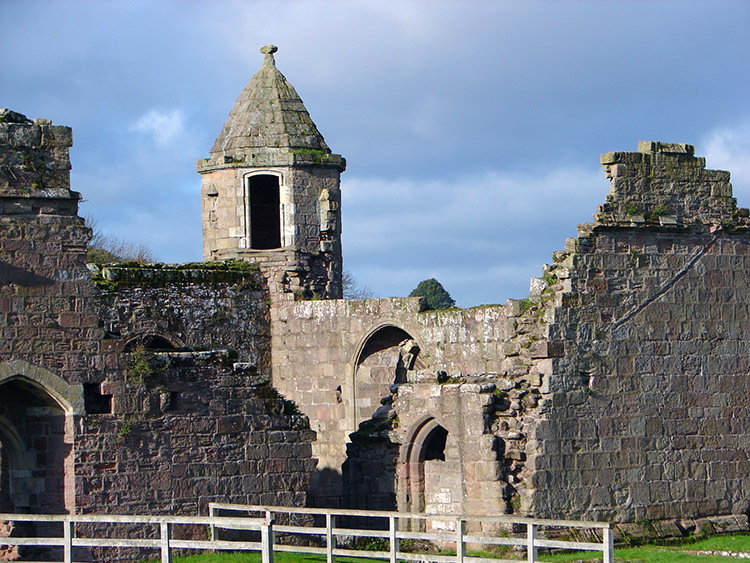 Yet the walk was not routine at all for after the social history of Spofforth Castle I was to encounter geological history at Hell Hole and then beyond to Braham Hall. The reason was that along this stretch there were a group of grit stone obelisks with superb chishelled shapes. 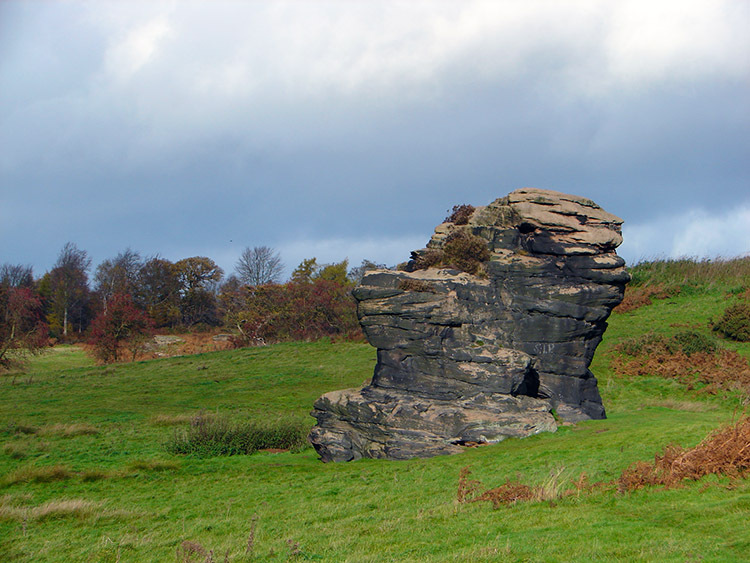 The millstone grit formations are sentinels of Plumpton Rocks to the north and east and their amazing shapes drew me from the beck side to them. The captivation made my walk short and before I knew it I was at the roadside for my walk back into Follifoot. Wow that I did not expect and so close to home too. I have got to do more exploration of this area soon. For now it was back to Follifoot via, this time, a real quiet road and to the end of a great walk. It's a walk I'll be doing again, or parts of in other walks, that is for sure.